Nidesh Lawtoo, ed. Poetics and Politics: With Lacoue-Labarthe. MLN 132.5 (2017). 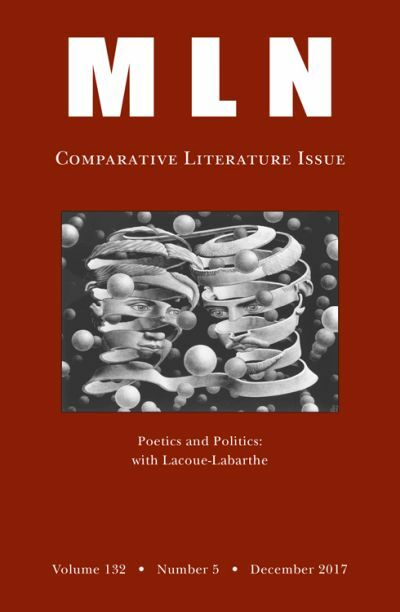 This special issue of Modern Language Notes rethinks the relation between “poetics and politics, poétique et politique” in the company of the French philosopher Philippe Lacoue-Labarthe. 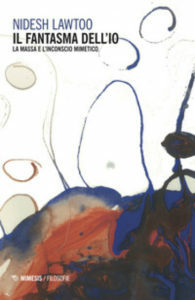 Including articles from major figures in continental philosophy (Jean-Luc Nancy, Alain Badiou), political theory (Jane Bennett), as well as from plural voices in French, German, and North American literary theory and criticism, contributors join perspectives that are usually split in different areas of investigation in order to reframe an ancient concept located at the juncture between poetics and politics, literature and philosophy: namely, mimēsis. 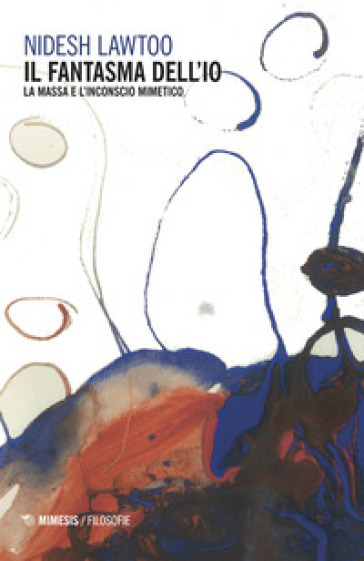 In the process the issue casts new light on foundational mimetic concepts such as myth, sympathy, identification, figura, and plasticity in order to address the growing shadows cast by the contemporary fictions of the political. Nidesh Lawtoo, Il Fantasma dell’io: la massa e l’inconscio mimetico, tr. Elena Cantoni (Mimesis ed., 2018). Un fantasma si aggira per il mondo moderno: “il fantasma dell’io.” Con questa frase, Friedrich Nietzsche offre una diagnosi dell’io moderno che trova nell’imitazione di massa la via regia all’inconscio. Sulle orme di Nietzsche, autori modernisti come Joseph Conrad, D. H. Lawrence, Georges Bataille – letti in dialogo con scienze umane come l’antropologia e la psicanalisi, le ricerche sull’ipnosi e la psicologia di massa – si interrogano su fenomeni mimetici riflessi che non sono sotto il controllo razionale della coscienza e che sono, in questo senso, in-consci. Nidesh Lawtoo, “The Mimetic Unconscious: A Mirror for Genealogical Reflections.” Imitation, Suggestion, Contagion: Rethinking the Social, ed. Christian Borch. New York: Routledge, 2019, 37-53. Nidesh Lawtoo, “The Critic as Mime: Oscar Wilde’s Theoretical Performance,” Symploke 26.1-2 (2018): 307-328. Nidesh Lawtoo, “Violence and the Mimetic Unconscious (Part One) The Cathartic Hypothesis: Aristotle, Freud, Girard.” Contagion 25 (2018): 159-191. Nidesh Lawtoo, “The Plasticity of Mimesis.” MLN 132.5 (2017): 1201-1224. Nidesh Lawtoo, “Poetics and Politics: with Lacoue Labarthe.” MLN 132.5 (2017): 1133-1139. Nidesh Lawtoo, “The Power of Myth (Reloaded): From Nazism to New Fascism.” L’Esprit Createur, 57.4 (2017): 64-82. Nidesh Lawtoo, “The Classical World: Sacrifice, Philosophy and Religion,” in The Palgrave Handbook of Mimetic Theory and Religion, ed. James Alison and Wolfgang Palaver. New York: Plagrave, 2017, 119-126. N. Lawtoo, “The Swarming of Mimesis. A Review of William Connolly, Facing the Planetary: Entangled Humanism and the Politics of Swarming,” Postmodern Culture 28.1 (2017). Niki Hadikoesoemo and N. Lawtoo, Interview with Nidesh Lawtoo, The Leuven Philosophy Newsletter vol. 25 (2017-2018): 8-12.